Welcome to Walleye Seizure Charters!! 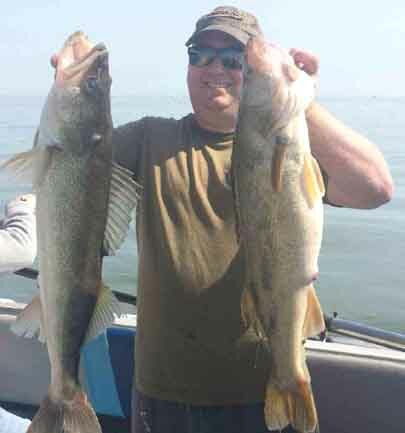 Walleye Seizure Charters is a Lake Erie Walleye and Perch sport fishing charter that is a USCG licensed and drug free vessel, catering to smaller groups of 1-3 anglers. Lake Erie is home to world class Walleye and Perch fishing, and with over 20 years of experience, Walleye Seizure knows what it takes to catch you the fish of a lifetime! We start out in the Western Basin in the early months of March through May, where you will be jigging for Walleye (very fun and exciting), or trolling for TROPHY Walleye outside of the reef complexes. As the weather gets warmer and the fish start to migrate east we are able to move with the fish and be on the best possible bite for you, our customers! 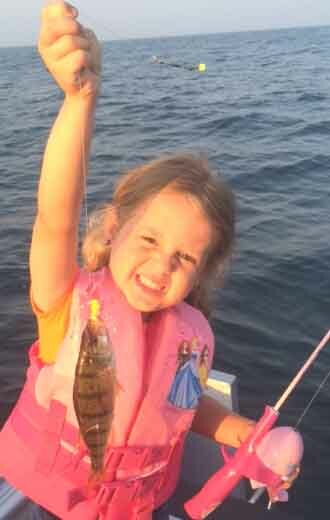 In the summer months we are concentrated on trolling the Central basin out of Ashtabula and Conneaut where you will have the opportunity to catch what many consider to be trophy size fish, and limits of them are common! As fall approaches we will begin to transition into Perch fishing. We also run our perch trips out of Ashtabula or Conneaut, giving you the best chance to catch limits of JUMBO Lake Erie gold! If weather cooperates in the late pre winter months, we also offer trips out of Cleveland and Huron to take advantage of near shore Walleye fishing; this time of year can be the best time for catching a fish of a lifetime! Once the Lake Ices over, we also offer Walleye ice fishing trips out of the western basin. Whichever your choice may be we will do our best to provide you with the best experience Lake Erie has to offer and have a BLAST doing it!